Long-time musical partners Wayne Horvitz and Sara Schoenbeck (WHSS Duo) perform compositions and improvisations for bassoon, piano and electronics, exploring music from the obscure to the sublime. Plus special guests Ray Larsen and Abbey Blackwell. Sara Schoenbeck (bassoon) and Wayne Horvitz (piano, electronics) first met as performers at the Company-style improvisation festival Time Flies in Vancouver B.C. in 2000. They have been frequent collaborators ever since in the Gravitas Quartet, Some Places Are Forever Afternoon, and numerous improvised collectives and performances. 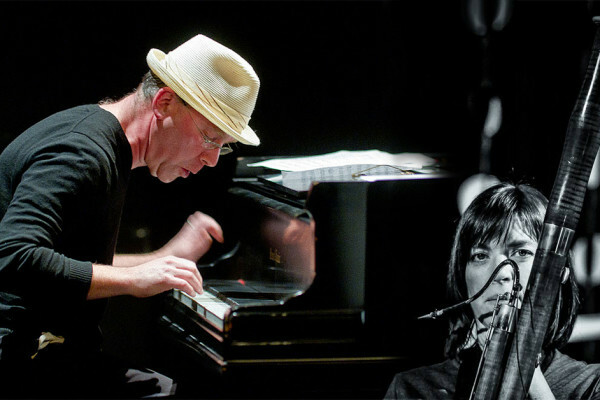 They are dedicating their long-time collaboration to duo spaces of original music and improvisation. A study of the crossroads where texture and extended technique meet with and support the expression of melody and song.